Over the 6 decades since its inception by the AAP, the Red Book has become a truly indispensable resource on pediatric infectious diseases. 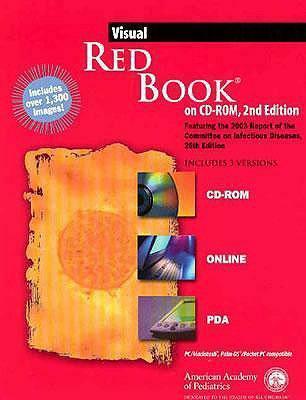 Now in a new edition, Visual Red Book on CD-ROM, 2003 Edition-includes the complete text of Red Book 2003 keyed to over 1,300 slides and images. In addition the Visual Red Book now also includes a subscription to the Red Book Online, which offers instant Web-based access to the complete text of the print edition, linked with up-to-the-minute online content with the wide variety of infectious disease-related information from AAP. But, that is not all. Along with the Red Book Online access and the visual library, you can download the full text of the Red Book 2003 edition to a personal digital assistant (PDA). Now you have the best of both worlds, the portability of the print version with the ease and speed of electronic access.